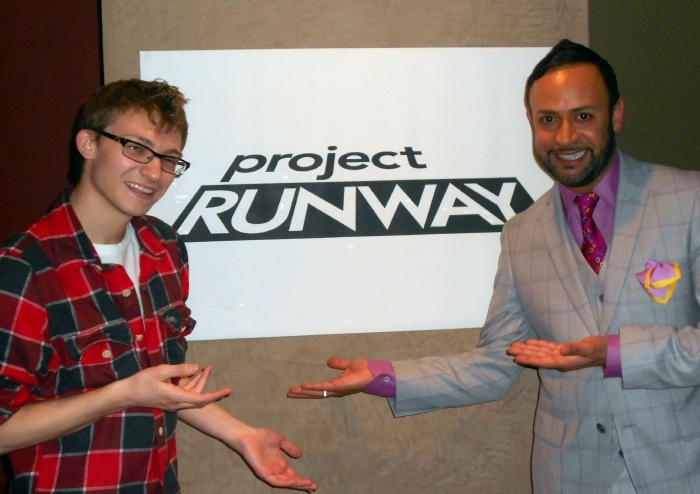 Last week, as I posted HERE, I had the HONOR and yes, PLEASURE--of judging the Los Angeles Castings for the 10th Anniversary Season of Project Runway. 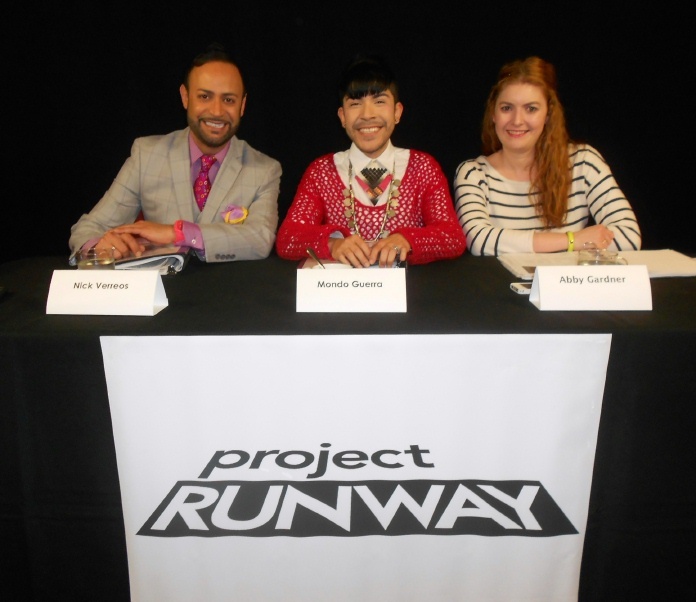 I judged for three days along with Project Runway All Stars Season One Winner (and shorty-short-lovin'!) Mondo Guerra and Marie Claire's Website Director, the fabulous (and oh-so-sweet! ), Abby Gardner. In addition, LookTV--YouTube's newest Fashion and Beauty Channel--in conjunction with the Producers of Project Runway, were running the FIRST EVER "Project Runway Skip The Casting Line" Talent Search--where we asked fashion designers all over the US to submit videos of themselves and their designs to have a chance of receiving a coveted spot at the Los Angeles Closed Castings of Season 10 Project Runway. SO many of you submitted videos to LookTV and it was a very difficult choice, but we had to pick our Top Designer-ista. 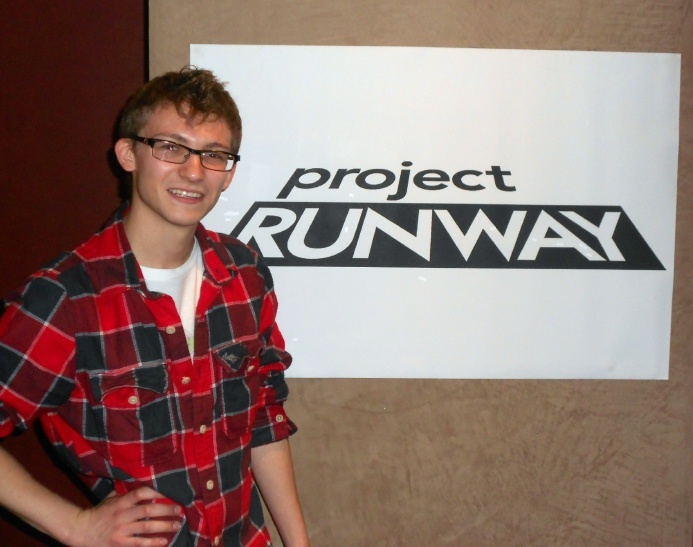 And the Winner of this first ever "Skip The Line" Project Runway Talent Search was (quick drum roll): Blake Patterson! Blake submitted his video via a special Casting we had at the Fashion Institute of Design & Merchandising/FIDM Los Angeles Campus. He is still a student of Fashion Design but about to graduate. He interns at the Lanvin Beverly Hills Boutique and actually procured a super-coveted internship in Paris with the House of Lanvin as well. But yes, his DREAM is to be on Project Runway--Bien sûr, il est! (Of course, it is en francais). The prize of this LookTV contest was to win a spot in the Castings so he arrived, with designs he had created--and his fun, very skinny self! Strike a Pose: Blake Patterson doing his take on the "Couture Pose" ---juxtaposed with Dominican Republic Supermodel Arlenis Sosa and hers...I think Blake did pretty well! I interviewed him before--and after he had to go in and face THE CASTING JUDGES (moi included!). You can see the results in the video below plus a little bit extra: Blake LOVES to Line Dance and well, he taught me a little bit of the "Boot Scootin' and Boogie"--his fave line dance! Will Blake Make the Final Cut and be a Designer in Season 10? What do you guys think? Is it a "Yay", "Nay"...Maybe??? Let us know and leave your comments here or on the LookTV Facebook Page or YouTube Page. 0 Response to "PROJECT RUNWAY.....Winner of Look TV Project Runway "Skip The Line" Talent Search"